I seem to be roasting rather a lot at the moment. Maybe it’s down to this peculiar summer we’re having or perhaps in a counter-intuitive way because I’m busy. As I’ve mentioned before, letting the oven take care of things is a great way to cook if you need to be getting on with life. 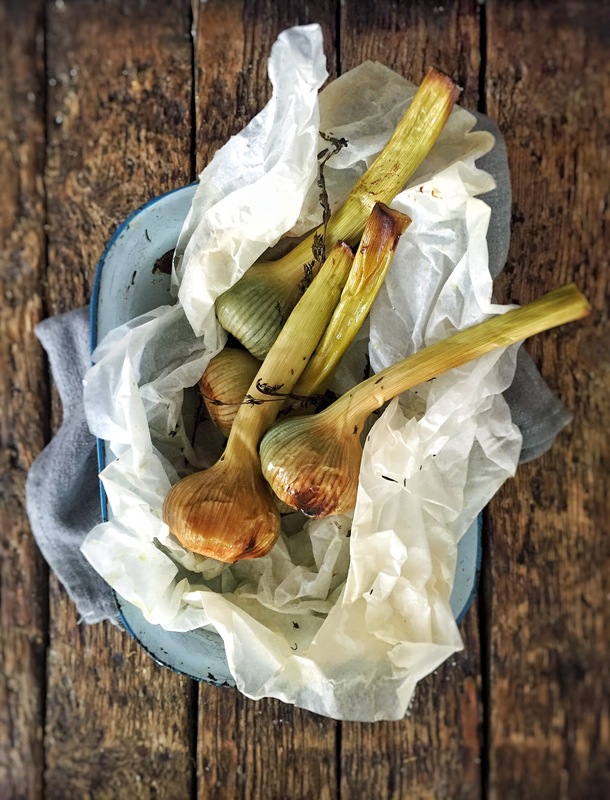 I’m not suggesting here that you just eat a load of garlic for supper (although just spread on good bread it makes a pretty good snack) but it can be part of a good spread of charcuterie and salad if you’re after something light. I clearly remember the first time I had a whole bulb of roast garlic. At a pub called The George in Alfriston, West Sussex (one of our favourite villages) back when we were footloose and fancy-free. Angels sang, light poured from the heavens and I was enlightened. I’ve used fresh garlic here, as it’s now bursting forth everywhere. It’s mellower and milder than the winter stuff but equally interchangeable and delicious in this recipe if you don’t have any. Just get a load of garlic, wrap in foil with some thyme and rosemary, drizzle with olive oil and roast for about and hour at 160c. So simple, and the kitchen will smell amazing.